Has your area been flagged? 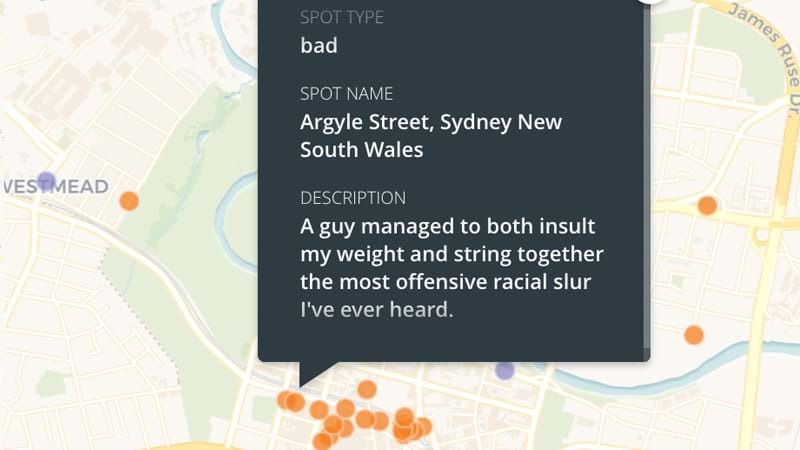 A new report has shown the Sydney locations where women have had bad experiences or felt unsafe, with particularly negative areas apparent in the CBD. The data, which has been collated from the Free to Be program, is collated from women on a site similar to Google Maps, with users able to drop pins and write descriptions of issues in the area. An orange pin means a 'bad spot' and purple signals a 'good spot', with reviews left both in terms of the facilities of an area (such a lighting or CCTV in carparks) as well as for notes about behaviour - for example, persistent cat-calling due near a construction site. 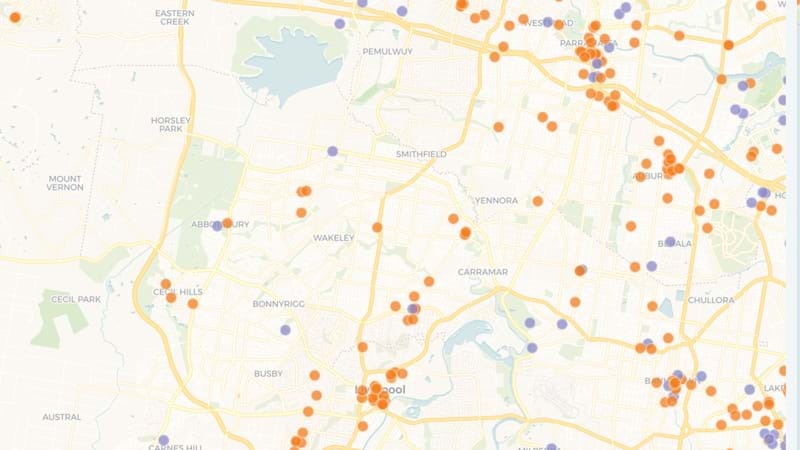 In Sydney's west, there were clusters of orange around Parramatta and Liverpool, with purple scattered across Parklea and the Ponds.